You take on many responsibilities when you accept a role in property management. Emergency fuel plan preparedness is an important one that some may overlook in the hospitality business. Backup generator fuel is absolutely necessary to keep the lights on at your hotel, apartment complexes or other commercial property. While you may understand the need for a good property management emergency plan, you might have a lot of other concerns on your plate that have prevented you from making sure you have a reliable source of routine fuel for your hospitality business or other property. Fortunately, when you let Foster Fuels handle all your property management generator fuel needs, you can let us worry about your fuel so that you don’t have to. 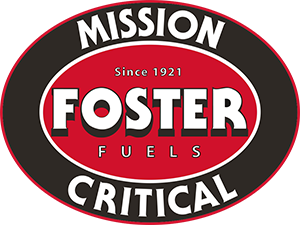 At Foster Fuels, we have longstanding experience providing routine fuel for property management and hospitality businesses. We will set up a schedule to make sure your tanks are regularly filled, and we’ll be ready at a moment’s notice to supply you with fuel in the case of an emergency. Our preparedness frees you up to focus on your other important property management duties and can eliminate your stress and concerns regarding your supply of adequate fuel and power. We are in the business of helping people. Let us help you keep your doors open when people are in need of a place to stay. We can support your hospitality business with an emergency power plan. Sometimes, inclement weather knocks out the electrical grid power supply in your area for an extended and unpredictable period of time. An emergency power source will keep your business running and partnering with Foster Fuels will give you peace of mind. With our emergency fuel retainer, you can increase uptime. Property managers around the country rely on us to keep their assets operational during power outages. By keeping generators topped off with quality fuel, your power will transition faster. Although you can’t prevent an incident, you can be prepared for an emergency. Smart hospitality facility property managers understand the importance of having reliable backup generators on hand, ready to provide an immediate power solution when any mission critical incident arises. These days, generators must be able to provide ample power to support vital emergency systems, as well as to ensure the facility’s food and beverage operations, security systems, high-speed Internet, and potable water supplies continue to operate for several days if necessary. Backup generators can also serve other useful purposes at hotels and resorts that strive to provide a wide variety of services for their guests. For instance, generators provide a supplemental power source for large meetings, wedding receptions, and other special events. Generators also comprise the backbone of a well-designed emergency backup power system that includes automatic transfer switches. These switches immediately transfer power distribution to the generators when there is an interrupted flow of electricity from the grid. Of course, generators also need a sufficient supply of fuel to keep them operating for the duration of the emergency, which is why Foster Fuels’ services are essential. For maximum efficiency when it comes to fuel for the property you are managing — regardless of what type of property that may be — you want an established relationship with a company that is equipped to provide you with superior fuel at all times, no matter what kind of fuel your operation requires. Whether your generators run on gas, diesel, or propane, we can provide the high-quality fuel that will keep them operating. As a Foster Fuels emergency contract customer, you’ll have the benefit of guaranteed fuel for hotels, apartments, and other commercial real estate properties. We offer several levels of emergency fuel contracts, all of which ensure a timely response during an incident. Get in touch with us today to prepare for emergency fuel delivery.